One of the oldest capital cities in Europe, the history of Sofia dates back to the 8th century BC, when Thracians established a settlement there. This is the administrative, cultural, economic, and educational centre of the country. 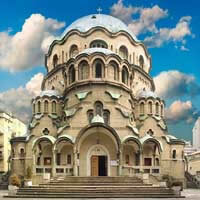 Historic landmarks include the 10th century Boyana Church (one of the UNESCO World Heritage protected sites), the Alexander Nevski Cathedral (one of the world's largest Orthodox churches), and the early Byzantine Church of St Sophia. 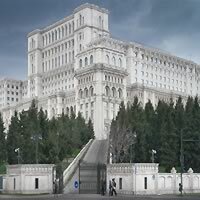 Sofia houses numerous museums, notably the National Historical Museum, the Bulgarian Natural History Museum, the Museum of Earth and Men. Sofia is one of the hippest cities in Bulgaria. It has a lively nightlife scene with many different night clubs, live venues, pubs, mehani (Bulgarian traditional taverns), and restaurants. Hidden Gems of Eastern Europe! Visit Sofia (One of the oldest capital cities in Europe, from the 8th century BC, it houses numerous museums, notably the National Historical Museum, the Bulgarian Natural History Museum, the Museum of Earth and Men), Belgrade (Another of Europe's oldest cities, and birthplace of the largest prehistoric culture of Europe, the Vinca culture) and Bucharest (Once known as the "Little Paris", with wide, tree-lined boulevards, and glorious Belle Époque buildings and eclectic mixture of architecture, from old monasteries to Orthodox Churches). Travel between them by flight. This is a flexible package. Select your number of nights in each city, desired hotel and activities. 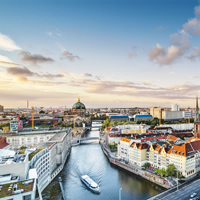 Discover the magic, history and charm of Eastern Europe with an escorted motorcoach tour which will lead you through stunning Austria, Hungary, Poland, Germany and the Czech Republic; staying in Vienna (the charming city of classical music and waltzes), Budapest (the stunning two-city capital with palaces, fortresses, parks and promenades), Krakow (former seat of Polish kings, with castles, cathedrals, bustling markets and artistic festivals), Warsaw (a wealth of shops and restaurants, lush green spaces and pleasant classical concerts), Berlin (the cultural capital of Europe with 3 opera houses and 8 symphony orchestras) and Prague (1,000 years of art and architecture which have survived centuries of turmoil and control to emerge as a cosmopolitan city). One of the oldest capital cities in Europe, the history of Sofia dates back to the 8th century BC, when Thracians established a settlement there. Historic landmarks, numerous museums and a lively nightlife scene. This is a flexible package. Select your number of nights in the city, desired hotel and activities. Everything went very well and our director, Bartec, did a great job. We saw what we wanted to see and more.